Heart-warming lyrical fantasy. A minor, humble postman has a round which includes the country mansion of a Great Statesman. 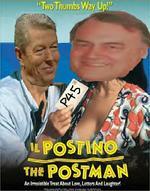 Gradually their friendship blossoms and Alan, the postman, teaches the Great Statesman to read, write and speak proper. But eventually Alan forms the view that he could do the Great Statesman’s job far better than he does himself, and he rather fancies ditching the Royal Mail pushbike for a Jaguar or two. A dilemma arises – how does he break the news? So Alan does it in the most tender, thoughtful way he knows, when no one is watching: national TV on a Sunday morning. 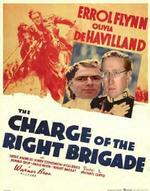 Umpteenth remake of the classic disaster movie. We’ve been here before; you know the form. A great liner has suddenly capsized and the survivors are trying to find their way out, have to undergo many dangers, not all of them are going to make it, but somehow they emerge better people and are able to confront their personal demons and overcome their petty antagonisms and class differences. Right? Wrong. In a novel twist, in this version the survivors sit around arguing with each other and then drown. The vicar’s convinced only he knows the way out; the Bursar wants to take over the wheel; the ship’s steward is refusing to budge from any of his three large cabins; and Matron is claiming that the liner hasn’t capsized at all and is "having its best cruise ever". Starring: Gene Hackman as the doomed vicar; and 22 washed-up has-beens all going down with the ship. gripping helicopter attack on Bart’s Hospital. horses as the Tory Party. staggering conspiracy based on mind control and brain-washing? CH verdict: There’s nothing to worry about. If you’re nervous, why don’t you pass the time by playing a little solitaire?